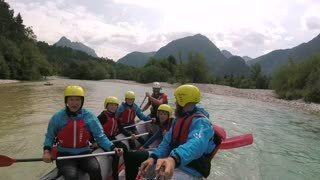 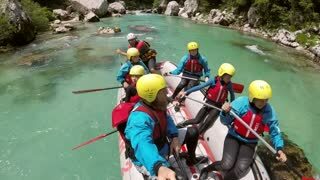 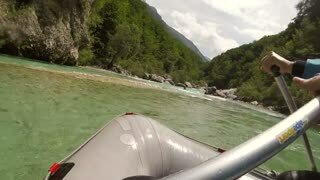 Adventure POV shot of front of rafting boat in Soca river in Slovenia. 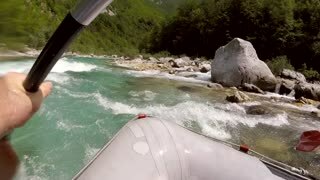 Adventure POV shot of man in front of rafting boat in Soca river in Slovenia. 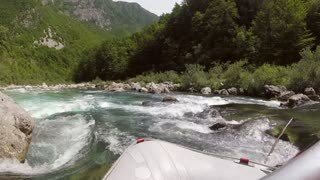 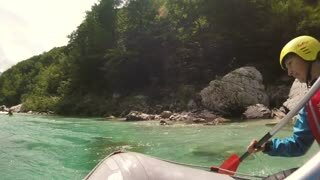 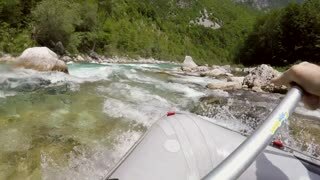 Adventure POV shot of sliding down rafting boat into the Soca river in Slovenia. 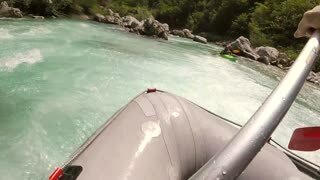 Adventure underwater POV shot of man rafting down the Soca river in Slovenia.